While folks in Europe and Russia prepare for the winter and complain about current weather conditions, one brave Russian girl, Olga Rumyantseva, just climbed one more volcano. 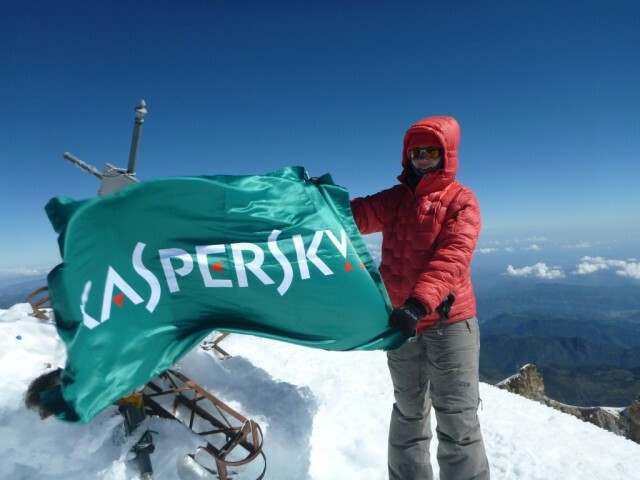 Olga has undertaken the challenge of climbing the highest volcanoes on each continent all by herself, with some support from Kaspersky Lab. We discussed the topic of weather with her, and all of our climate-related complaints seemed trivial when thinking about the unpleasant weather she experienced three miles above sea level. 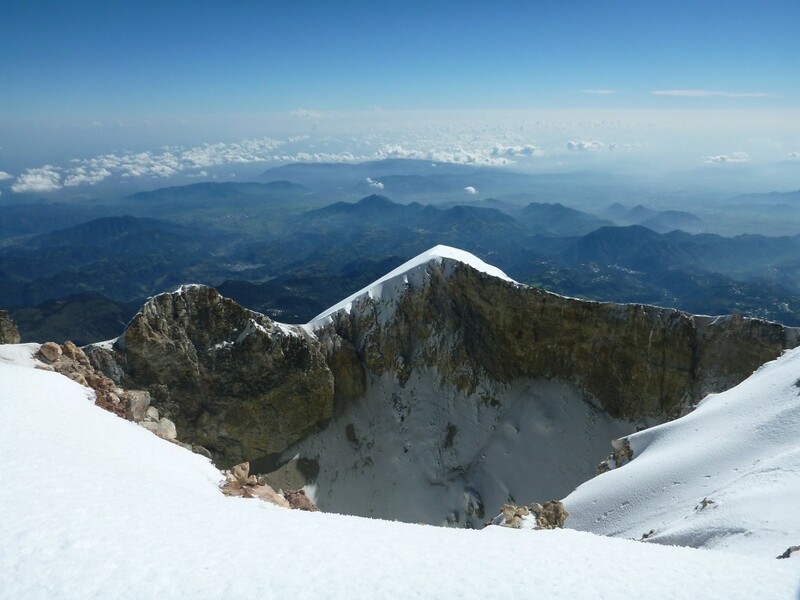 Olga’s latest climb was at Pico de Orizaba, the highest volcano in North America, located in Mexico. Three miles high, it’s considered the highest mountain in Mexico and the third highest in North America. For Olga, this wasn’t her first climb on this mountain, so the surroundings were quite familiar to her. Upon arrival on the first day, Olga rented a car and drove to Puebla, her favorite place to have a rest in Mexico. The next day, she arrived in Tlachichuca, which is the starting point for all expeditions to Pico de Orizaba. There she met Senor Conchello, who has helped all alpinists reach the first shelter (located at 4200 meters) for the last 30 years. He also actually sells water and gas from this location, as both substances are rare at the top of Orizaba. Pico de Orizaba, located in Mexico, is considered the highest mountain in Mexico and the third highest in North America. Olga spent the next day adapting to the climate and hiking to the snow line (4800 m). After that walk, it became clear that our mountaineer was cold. At 3AM, failing to fall asleep because of a severe throat ache, she decided to continue climbing, deciding it would be pointless not to as she would then need to return home. So she pulled herself together and continued the climb. She lost and found the trail several times because of darkness, however, she finally reached the mountaintop! There were very strong and cold winds, and it was hard to hold the flag while it was being wrested by the wind. But, another group of alpinists arrived and helped Olga document the historical moment. She then safely descended back to the base, where it was discovered that she’d lost her voice. It was quite unfortunate, especially when everyone was congratulating her and wanted to speak with her, and she couldn’t properly engage in conversation. We wish Olga a speedy recovery. This climb once more reminded us that it’s not always easy to reach our goals, but if we put effort into accomplishing our tasks despite complications, we can achieve success. In the meantime, Olga is rehabilitating and gaining her strength on the shore of the Mexican Gulf before her next climb. Her next destination is Ojos del Salado in Chile.